Panelists at the NMHC Fall Meeting shared their views on the election, GSEs and more. The forecast for action on issues affecting the real estate industry in Washington is … cloudy with a good chance of gridlock. That was the view from most panelists – from both inside and outside the government – at the National Multifamily Housing Council’s Fall Board of Directors & Advisory Committee Meeting in Washington, D.C. meeting in Washington last week. Now it comes as no surprise that not much can get done so close to a presidential election, but the more troubling issue is that the impasse between the parties that prevents action is not likely to clear up after the election. The only way that action would be likely would be if one party gains control of both houses of Congress as well as the White House, but that is an improbable outcome given where the national polls are today. The most likely one-party scenario would be if Donald Trump wins the presidency and the Republicans keep control of the Senate while maintaining their edge in the House of Representatives. There is little chance Democrats will gain enough seats to take back the House, but many observers believe that the Democrats have a 50/50 shot to win the Senate, which the GOP holds by a 54 to 46 majority. Democrats are expected to gain seats by defeating incumbents in several states, potentially including Indiana, Illinois and Wisconsin, but getting to 50 seats may prove difficult. In the not unlikely event that the Senate winds up in a 50-50 tie, whichever party wins the presidency would have the edge, since the vice president breaks tie votes. Meanwhile, former Secretary of State Hillary Clinton has maintained a persistent—if not overwhelming—lead in the polls. The chances that either party will sweep the White House, Senate and House seems remote, which diminishes the chances of passing legislation. The days when party leaders cut their stripes on forging deals has virtually died, as leaders who compromise with the other party often face primary challenges. Case in point: former House Majority Leader Eric Cantor, defeated by a Tea Party-backed candidate in 2014. Particularly unlikely to happen next year is reform of government-sponsored enterprises (GSEs) Fannie Mae and Freddie Mac, which are under the conservatorship of the federal government. Reform plans have been introduced by Republicans in the House and a bipartisan team in the Senate, but neither proposal is likely to win approval from a divided Congress. What’s more, since the housing markets are not in trouble at the moment, lawmakers lack an incentive to make the issue a priority. Something has to give in January 2018, when the GSEs will run out of capital. Although Fannie and Freddie have been earning solid profits since regaining profitability in 2012, by law those profits are being funneled into the Treasury, so something will have to be done in two years when the agencies’ capital buffers dwindle to zero. Reform of Dodd-Frank and Basel III. The real estate industry would like to restructure how financial institutions must treat the multifamily debt they hold and originate, and seek changes in regulations that have negative consequences for the industry. EB-5. The industry would like to remove barriers and further encourage the EB-5 Investor Visa Program, which provides green cards for foreign investors that supply capital to development projects in the U.S. The program has mushroomed in recent years, with $68 billion coming from China alone in 2015. Immigration reform is obviously a controversial issue this election on which there is little consensus between the parties. Comprehensive tax reform. Tax reform has been debated for years without consensus. Big issues include tax rates and corporate and estate taxes. Issues of direct interest to the real estate industry include carried interest, like-kind exchanges, depreciation rules and the low-income tax credit. This is another area in which the parties have entrenched positions that are unlikely to produce a compromise. Home-sharing services such as Airbnb. Peer-to-peer home sharing services such as Airbnb, HomeAway and VBRO have become increasingly popular. 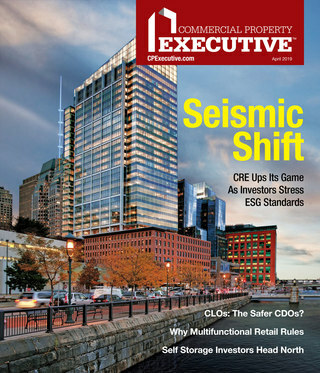 However, for the multifamily industry they raise questions about quality of life, liability, safety and enforcement of state and local zoning codes. Many multifamily residents do not want transient guests coming and going. 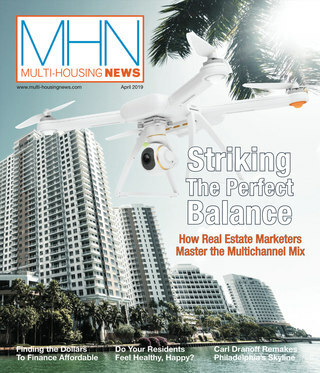 The multifamily industry is split on how to approach the topic. Airbnb is working with major apartment REITs and other stakeholders within the industry to create policies that would mesh with the business models of apartment owners. The outcome of the election will dictate policy direction at the presidential level. Donald Trump would focus on lowering taxes, reducing regulations on financial entities and restricting immigration. Hillary Clinton’s top priorities include raising taxes for the upper-income brackets, increasing the minimum wage, improving Obamacare and boosting investment in education and infrastructure. Whatever the next president’s policy goals, just as important will be the makeup of the Congress, because the country is liable to see a lot more gridlock without an unlikely one-party sweep on Election Day. The most important decision could boil down to control of the Supreme Court, which has had the last word on a growing number of major policy decisions.